The Formatt Hitech Firecrest Neutral Density (ND) filter is a revolutionary new type of ND filter from Formatt-Hitech. Rather than dyed resin, Firecrest is a rare earth metal coating used to create hyper neutral NDs. The filters are made in different densities according to the level of light reduction from 1 stop to 16 stops of light. They are made from 2mm thick Schott Superwite glass, and the multicoating is bonded in the middle to increase scratch resistance. Firecrest Filters are neutral across all spectrums, including UV, visible, and infrared. 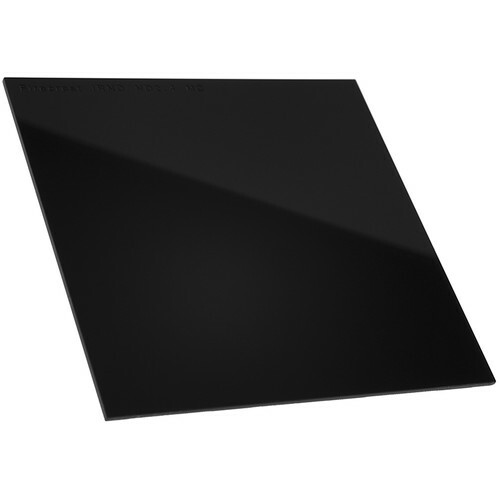 This is a 100x100mm 2.4 (8 stops) Formatt Hitech Firecrest ND filter.